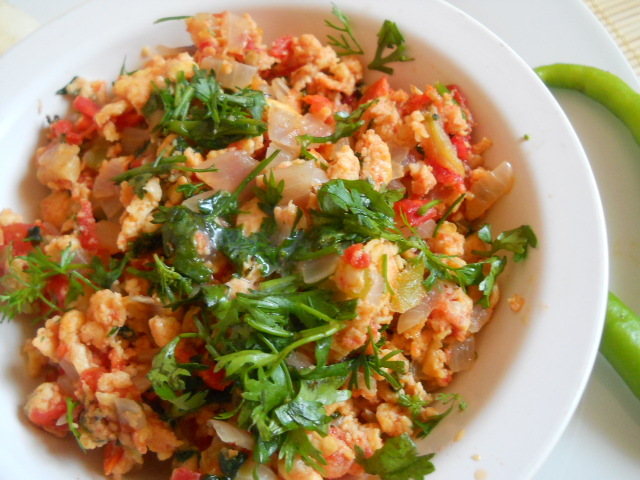 Egg Bhurji Recipe – made in Mumbai Syle is yummy, delicious, tasty and healthy. Bhurji is commonly found in Mumbai Nookads, Street corner, stalls. 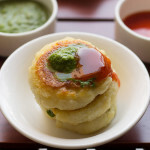 It’s one of Mumbai’s famous and fast selling food. There are various places in Mumbai who sell this finger snack. Even when you are clubbing late night when most of the joints have closed down. At this time people binge on stalls which are open at wee hours of night. 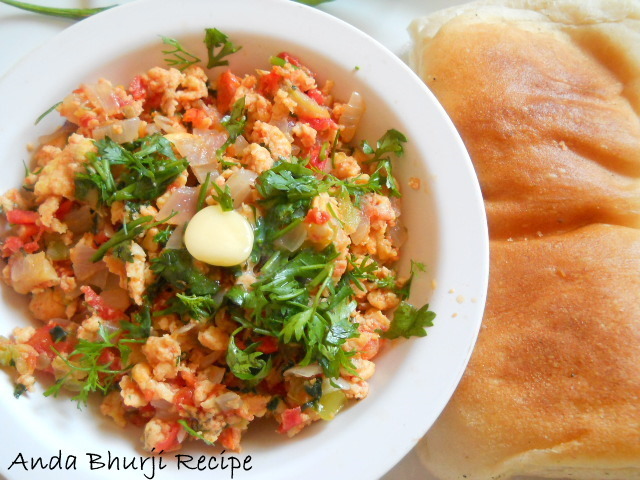 Anda Bhurji is also referred as Scrambled Eggs, Bhurji Pav, Egg Bhurji. The moment you pass by these stalls the aroma of eggs will tempt you to eat them. 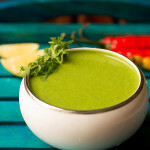 :)… DO try this Recipe ! If you happen to see people who make Anda Bhurji on the road. It’s quite fun to watch how they make them. Some even add a dash of pav bhaji masala to the bhurji along with turmeric and some more Indian spices. 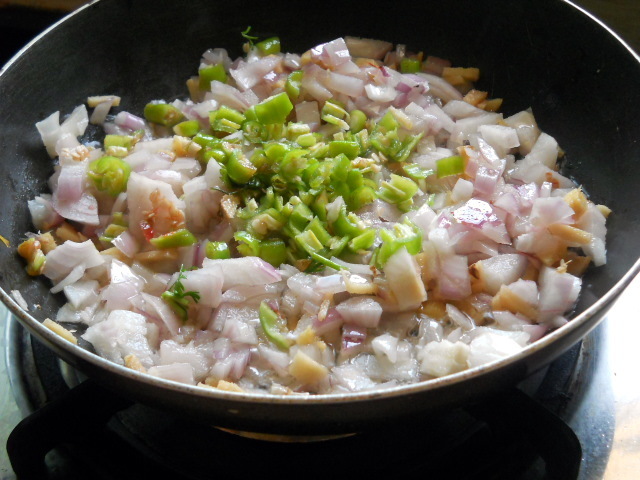 The Anda Bhurji Recipe I am sharing with you is given to me by mom. Also this Anda Bhurji tastes awesome and is just perfect to eat on any rainy day. 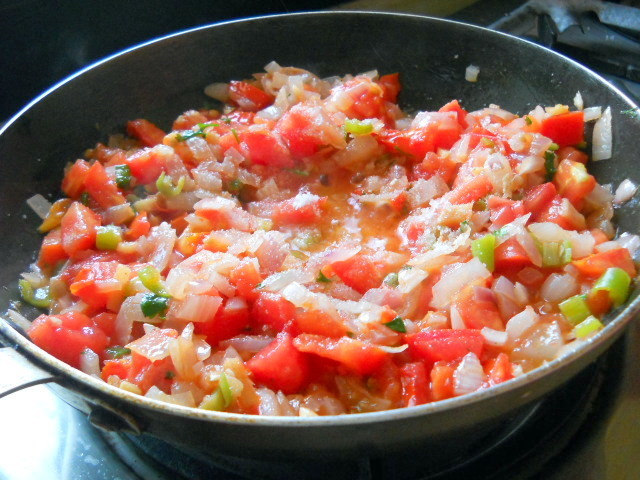 There are lot of variations to make and Anda Bhurji. Some people make it black pepper only. some make it with chili powder. 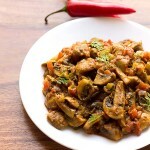 Some toss with garlic and mushrooms. But todays Anda Bhurji Recipe is made with Indian spices. The taste is out of the world and made instantly. 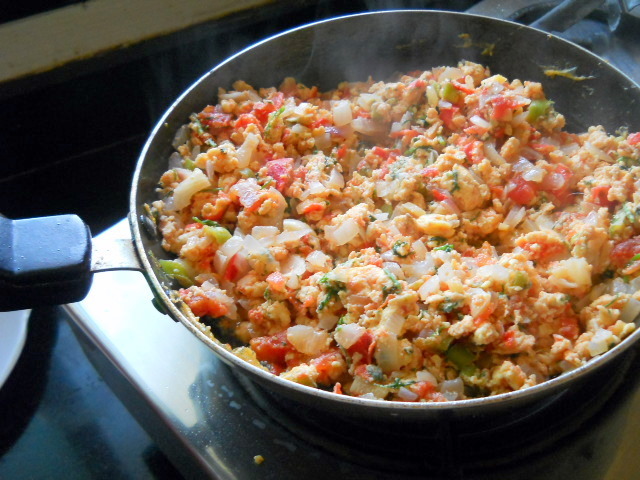 Learn how to make Egg Bhurji step by step recipe. 1. First whisk the four eggs gently with a fork for about 4 to 5 times. Keep this aside. 3. Saute them on low fire for about 2 to 3 mins. 4. Now add green chilies. Again saute all of them for a minute more. 5. 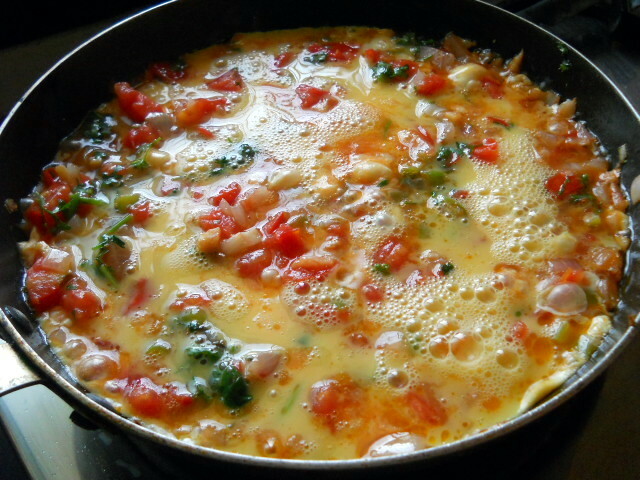 Add tomatoes and few coriander leaves. 6. Again saute all of them for 2 mins more. Add 1 tbsp butter and salt as per taste. 7. Finally add slightly beaten eggs Or shredded Paneer to it. Now combine all of them with a spatula or flat spoon. Keep stirring this mixture until small crumbs are formed. Continue whisking and stirring them for about 2 to 3 mins more. 8. Now the egg will start cooking and will soon change its texture and color. Cook them for more 6 to 7 mins and keep whisking them. Check how much the egg has cooked. You can check if you want your egg to cook more by tasting some. Keep for more 2 to 3 mins. Switch off the gas. 9. Your Anda Bhurji is ready. Garnish with the rest of coriander leaves. 10. 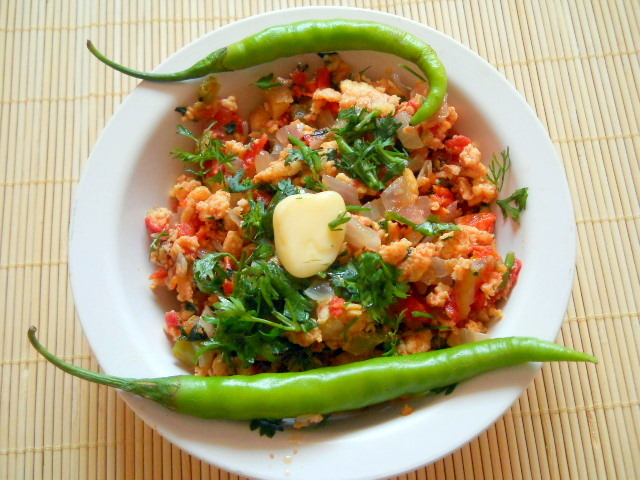 Serve anda bhurji with buttered hot pav or bread. You can also slice some onion along with your Anda Bhurji. Also you can top the bhurji with some butter on it. 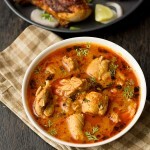 Check more egg recipes like egg fried rice, easy egg curry, egg curry, Mughlai egg curry,quick egg curry, Thai egg curry, egg Chettinad curry, egg masala dry, egg bhurji andcheese egg bhurji. 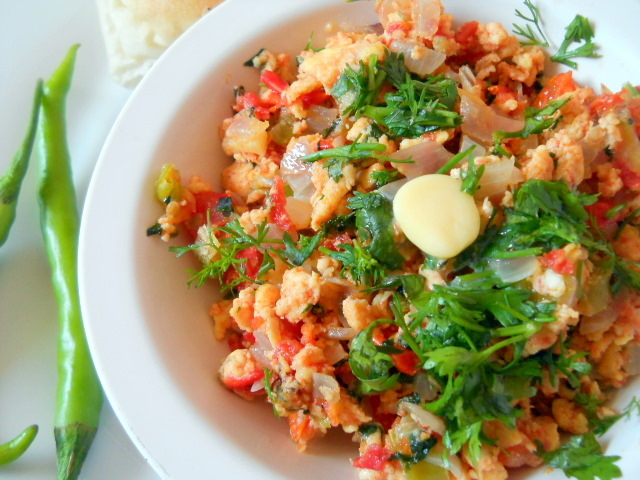 Egg Bhurji Recipe is nothing but scrambled eggs made in herbs, chilies, spices and served with pav. First whisk the four eggs gently with a spoon for about 4 to 5 times. Keep this aside. Take a pan add oil to it. 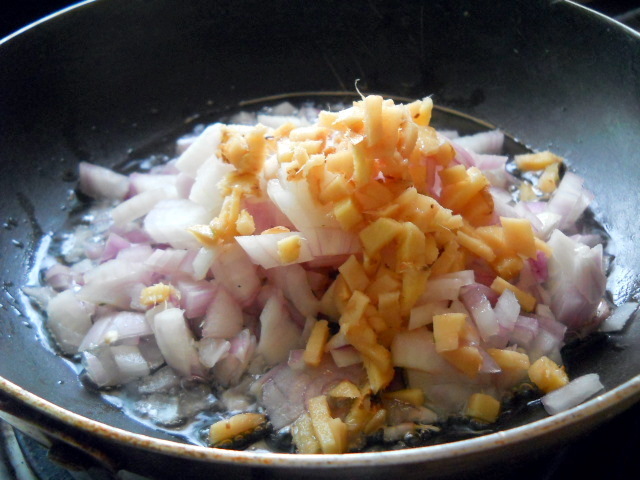 Now add onions and ginger to it. Saute them on low fire for about 2 to 3 mins. Now add green chilies. Again saute all of them for a minute more. 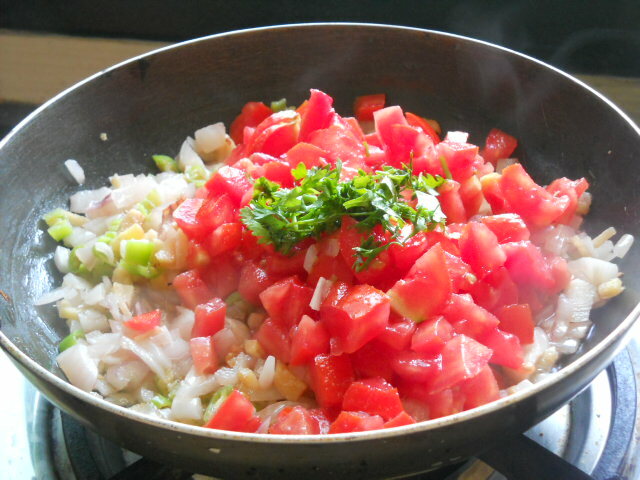 Add tomatoes and few coriander leaves. Again saute all of them for 2 mins more. Add 1 tbsp butter and salt as per taste. Finally add slightly beaten eggs Or shredded Paneer to it. Now combine all of them with a spatula or flat spoon. Keep stirring this mixture until small crumbs are formed. Continue whisking and stirring them for about 2 to 3 mins more. Now the egg will start cooking and will soon change its texture and color. 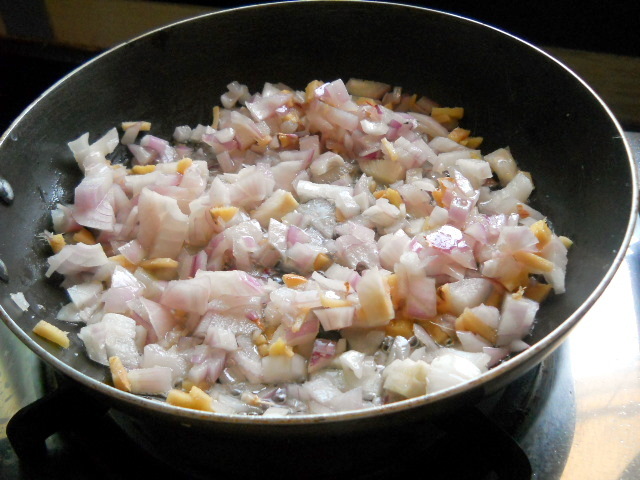 Cook them for more 6 to 7 mins and keep whisking them. Check how much the egg has cooked. You can check if you want your egg to cook more by tasting some. Keep for more 2 to 3 mins. Switch off the gas. Your Anda Bhurji is ready. Garnish with the rest of coriander leaves. 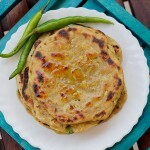 Serve them with buttered hot pav or bread. You can also slice some onion along with your Anda Bhurji. Also you can top the bhurji with some butter on it. 1. You can add more chilies if you want it spicier. 2. Also vegetarians can replace eggs with paneer. Follow the same ingredients and instructions. 3. You can also add 1 tbsp Pav Bhaji Masala for the extra flavor. I haven't added as I prefer simple way. Alok you are welcome, pleased to know this thanks for positive views 🙂 glad your kid loved the egg bhurji. liked ur burji and its delicious too! Thnks and love to try ur chiken dishes too! regards! Surely try the chicken recipes and let us know how it was? thankyou for your positive words. The recipe sounds delicious. M going to try it today. The images help in knowing the textures..
Thankyou Karishma 🙂 do try and share your views… looking forward for your reply take care. Thanks Shruti for dropping by and for your lovely comments..
You are welcome Marina 🙂 I am happy you liked them. Thank u soo much for sharing this receipe.. Infact m very happy to taste this being a vegetarian brahmin. I eat only egg as a nonveg form and i tried this at home.. Tasted so yummie and awesome that i m addicted to prepare this and hve it . I m using this as a snacks during evening time. This really kills my hunger and feels very cosy for my stomach. Hats off to ur spl egg burji.. Thanks Narayanan I am happy you liked the bhurji also sometimes omelettes and bhurji gives an eggy smell. 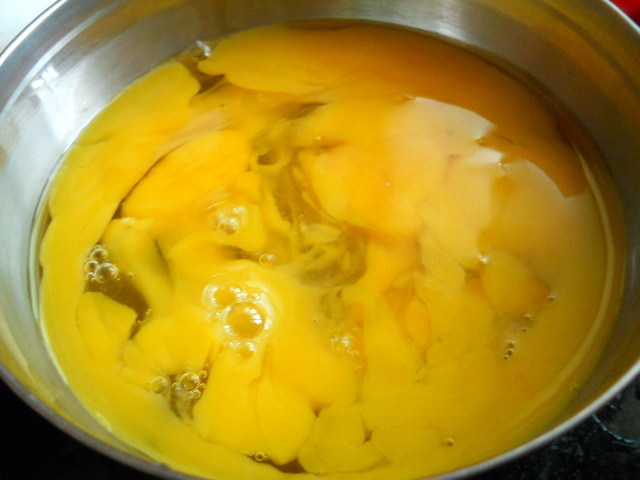 To avoid this eggy smell you could a pinch of turmeric and the smell will vanish. Take care and keep cooking! Thanks Sonam 🙂 I am happy you loved them! 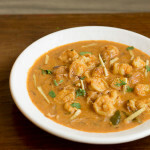 Abhijit nice to know that have fun keep cooking and eating… enjoy! Nice to know that Diksha all the best I am sure you will be a great cook 🙂 thanks a ton take care! I tried out your recipe today and it was awesome!Nothing beats having bhurji pav and a hot cuppa of tea in this superb weather!Kudos to you and your recipe!Keep up the good work. Great to know the Scrambled eggs turned out well. Thanks for spending time on my blog. Yeah I agree with you totally nothing betas Bhurji Pav with a cup of tea.